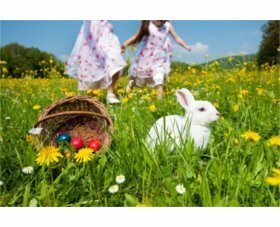 April 2014 – Your Health, Easter Bunnies & How to Make Vegan Eggs! How is 2014 going for you so far? Get your reading glasses and find somewhere you can just relax — I have tons of interesting posts and fantastic recipes for you today, to help you on your journey towards a more compassionate lifestyle… Even recipes to make your own vegan fried and hard-boiled eggs! Healthy Diet, Exercise and Inspiration — *New* Elated page to help you achieve your health and body weight goals. Eat to Live — Nutritarian Basics — When you choose nutrient-dense vegan foods you are giving your body the tools it needs to heal itself. When Nothing You Do is Working, Perhaps The Best Thing to Do is Nothing — Do you have days when you feel lost at sea. What do you do? 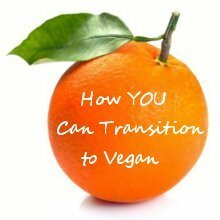 *New* Why Vegan? A4 Flyer — Here it is: the pamphlet that discusses animals, the environment, your health, what vegans eat and how to go vegan, all in one place. The Truth About Milk and Dairy — Get the no-nonsense facts behind the production of dairy and how it can affect your health. Are Issues Surrounding Animals Really Complicated? — Or are we investing too much time into the issues which have simple solutions? Your Vegan Food Pyramid — A recommendation for the standard vegan diet. What Do You Do When People Attack You For Being Vegan? — Does everyone turn on you when you say you are vegan? It isn’t personal. These are truly unbelievable! Do you ever reminisce over having eggs for breakfast? Nothing can come close to these recipes. They look and taste exactly like real hen’s eggs. Now you have no reason to exploit a hen for your eggs. Perfect Vegan Fried Egg… Sunny Side up — Really good and simple to make. 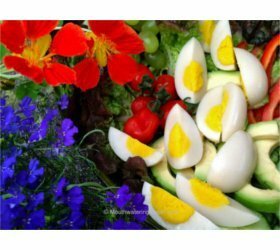 Proper Vegan Hard-Boiled Eggs — The first in the history of the world! Vegan Egg Mayo Sandwich — Absolutely devilicious. Is Easter All About Bunnies For You? What To Do When Your Easter Bunny Grows Up? — Are you an animal lover who wants to give someone special the joy of owning a bunny? Please read this first. The Lindt Gold Bunny Dark Chocolate is Vegan! — Now this is the perfect Easter bunny to give away and you can find it in your local supermarket. … And More Elated Recipes For You! 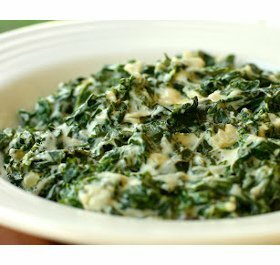 Kale in Cashew Cream — Kale is vitally fabulous! However if you are still adjusting to the flavour, try this simple but remarkably tasty dish. Beefless Finger Licking Stew — You will love this! Miriam has veganised one of her mother’s rich, full colour and flavour Greek specialities into a luscious, warming and hearty vegan stew. Raw Vanilla Coconut Ice Bonbons — These delectable vegan bonbons are lighter in texture than ice cream and will make you simply weak at the knees! Get your vegan shoes at half the price! Eco-Vegan Shoes is an ethical online shoe store based in UK. Get there quickly. The offer expires on 6 April. Hooray! Every single image on Elated is now copyright compliant and 100% legal. I just completed the huge task of replacing every single image on Elated. Time: 3 months. Number of images: 444. Cost: R2,700. Each image tells a story, like the one below. 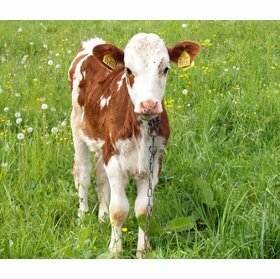 The beauty of this veal calf blinds us to the tragedy of his life. Look a little closer and you will see how emaciated he his. Notice the ear tags that identify him for his slaughterers. Notice the thick heavy chain around his neck. He was probably only in this green field for this brief photo op. 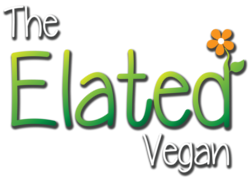 Do you like what Elated stands for and gain any benefit from the work I do? Please support my work by giving a donation.